Two Cortland High School graduates plan to use their experience in the National Guard to help pave the way for a successful college and professional career. 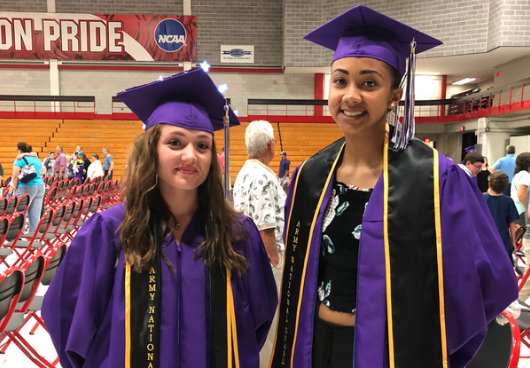 We caught up with Victoria Schmidtbonacker and Shayla Marsh, who recently received their diplomas at the Cortland High School graduation ceremony. VS: I'm attending basic training and Advanced Individual Training (AIT) at Fort Leonard Wood, Missouri. They each take 10 weeks to complete. SM: I ship out to Fort Jackson, South Carolina, on July 16. After that, I'm going to Fort Sam Houston in San Antonio, Texas. Why did you decide to join the National Guard? VS: It helps pay for college, and I enjoyed the drills as I went to as a guest, especially dressing up in hazmat suits. SM: I wanted military experience for when I join the FBI, and it's going to help me get through college. VS: I'm not sure what I want to study, but I'm looking forward to attending college! 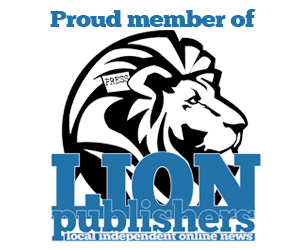 SM: I'm not sure what college I'll be attending, but I plan on studying criminal psychology. I want to become an FBI criminal investigator or a criminal psychologist. VS: I like to draw in my spare time, and I also enjoy running. SM: Soccer. I love soccer.